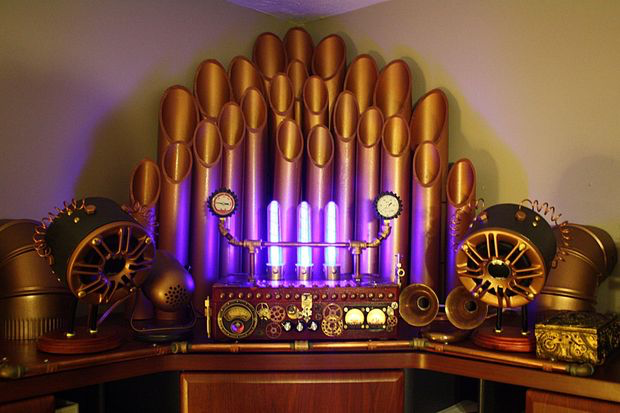 How to Make a Steampunk Amplifier #MusicMonday « Adafruit Industries – Makers, hackers, artists, designers and engineers! Steampunk has a great aesthetic quality, breaking away from the flat plastic boxes that plague today’s modern electronics. To that end, I decided to build a nice steampunk audio amplifier to go along with the steampunk speakers for my home office. Here’s how I did it.